According to a report by TMZ, the two separated after a fight during Nicki Minaj’s birthday vacation at Turks and Caicos. 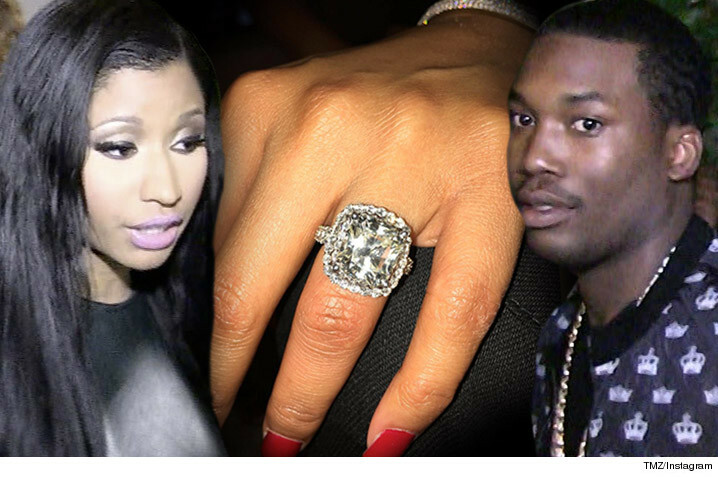 It was gathered that Nicki was angry because Meek was hanging with his friends and not paying attention to her. Nicki said she will now focus all her energy on her music. A report by Dailymail revealed that Meek Mill responded to the breakup announcement with a dig at the female rapper’s fashion sense. 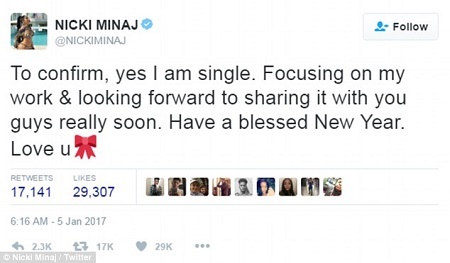 Rumors of their split started after she posted a cryptic message on her Instagram account in December by quoting Beyonce’s 2011 break-up ballad ‘Best Thing I Never Had’. The suspicious post lead to Meek – whose real name is Robert Rihmeek Williams – to delete his Instagram account completely. The couple first started dating in 2015 and a few months later hinted that they were engaged when the 34-year-old beauty was spotted wearing a huge diamond sparkler on her ring finger.